Prohibition may be long gone, but the extravagance and secretive spirit of the 1920s is still thriving in some of the best Sydney bars. Characterised by an unmarked entrance or storefront, dimly lit interior and some of the finest cocktails going round, here is our pick of Sydney's best speakeasy bars. For all you music-obsessed Sydney folk who enjoy a good drink, get to this long-loved CBD vinyl store come drinking den. This Sydney bar serves up craft beers, cocktails and stiff drinks, set off by a playlist of blues and rock 'n' roll. This speakeasy-style bar, hidden behind Establishment, has garnered a reputation as 'legitimate importers of bracing tonics and fortifying liquids', as well as just generally being one of the best bars in Sydney. There's whiskey, rye and plenty of bare-brick—it's all about old-fashioned charm at this Sydney bar. Descend the stairs and arrive in this basement Caribbean rum bar. 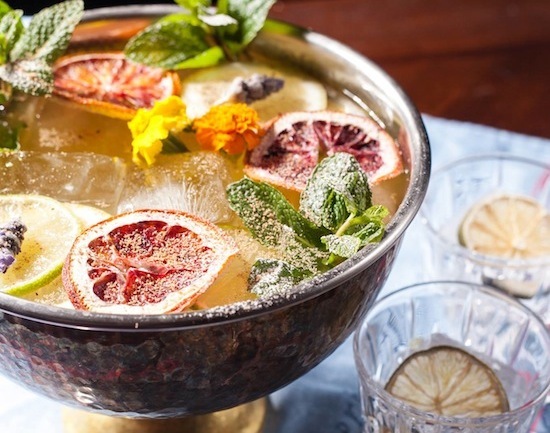 The cocktail menu is vast at this Sydney bar, giving classics a tropical twist with ingredients such as ginger syrup, apricot jam and grapefruit soda. Soak it all up with complimentary plantain chips. Down a nondescript alley on Clarence Street sits the entry to this basement-level Sydney bar. From the boys at Shady Pines, this CBD sanctuary has a carefully curated cocktail list, beer on tap, and a 360-strong whiskey list. But our favourite is the vodka-infused freshly squeezed apple juice! This Manly bar hails to a bygone era, inspired largely by the Harlem Renaissance movement of 1920s New York. Order the 'Aztec Old Fashioned', Casa Noble Anejo stirred with agave water, chocolate bitters soaked sugar cube and orange twist—you won't be disappointed, Harlem certainly deserves its place on our list of the best bars in Sydney. Hidden in the back of the Kirketon Hotel in Darlinghurst, this intimate, dimly lit Sydney bar pays homage to eras long gone, from the days of American prohibition to 1920s Paris—think leather banquettes, tall bar stools and crisp, fresh cocktails. The absinthe frappe and Caribbean queen punch are both standouts. The second outpost from the duo at Pocket Bar, this underground Sydney bar boasts some of the best mixologists in town. The focus is on the hard stuff, such as the 'Cupid Boogies' cocktail of rye whiskey, apricot liqueur and sweet vermouth, or the 'Charlie goes to Scot', AnCnoc 12yo scotch whiskey, Sloe gin and Peychaud's bitters. As far as food goes, it's American staples: hot dogs, burgers and curly fries. Underneath a guitar shop on Clarence Street is the inconspicuous entrance to Sydney bar, Grandma's. It may resemble a faded old living room, but this small Sydney bar boasts one of the greatest repertoires of drinks in Sydney. Try one of their Tiki concoctions—our favourite is the 'A Nicko Sanchez' created with tequila, fresh lime, cucumber, mint, agave nectar, natural yoghurt and egg white. Enter via the little shop front, Bobby's Boss Dogs, and step into an old-school milk-bar, replete with pin-up pics, hot dogs and raspberry ice cream floats (spiked with vodka of course!) There's Monday movie nights, acoustic sessions and DJ sets at this excellent Sydney bar—so expect a whole lot of fun! 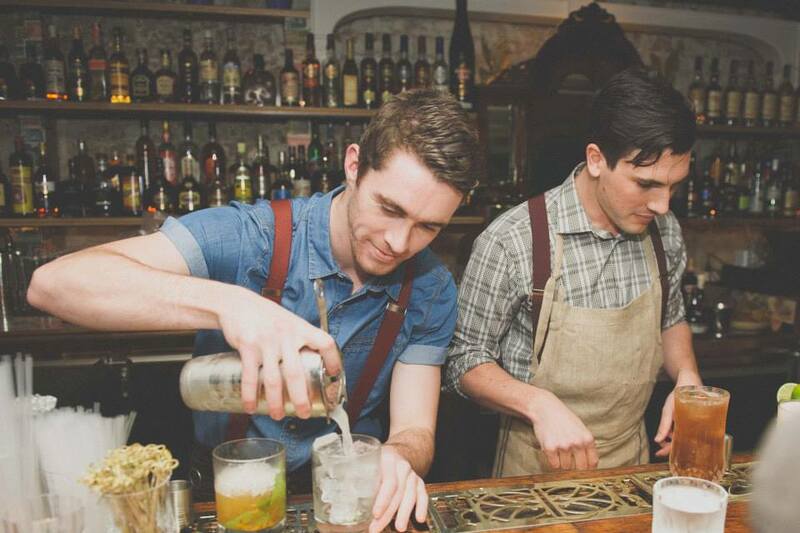 Have a suggestion we should add to our list of the best bars in Sydney with a speakeasy theme? Let us know!